Attorney Eric Betzner obtained a settlement valued at $502,000 for an injured worker who sustained a crush injury to his foot, while working in the natural gas industry. The worker, who lived in West Virginia, was employed as a truck driver, driving flatbed trucks, water trucks, and other equipment for his employer who was doing work in Pennsylvania. Because the injury occurred in Pennsylvania the injured worker was able to pursue his claim under the Pennsylvania Workers’ Compensation Act, and his case was litigated and Washington Pennsylvania. While loading a large section of metal pipe onto his flatbed, the pipe came loose, rolling off of the flatbed and crushing the worker’s foot. Multiple surgeries over the course of two years were required, ultimately leaving the injured worker with half of his foot removed. The workers’ compensation insurance carrier hired a “vocational expert” who wrote a report claiming that the injured worker would be capable of performing lighter types of work, despite the fact that the injured worker still needed additional surgery on his injured foot at that time. The insurance carrier filed a petition seeking to modify workers compensation benefits, and the injured worker hired Yablonski Costello & Leckie and was represented by Attorney Betzner. At the initial hearing Mr. Betzner presented evidence and testimony which convinced the Workers Compensation Judge to keep workers’ compensation benefits coming to the injured worker. Subsequent to this, the settlement of $502,000 was negotiated. Attorney Betzner also assisted the injured worker in securing Social Security Disability Benefits for his injury, while the litigation on the workers’ compensation claim was pending. 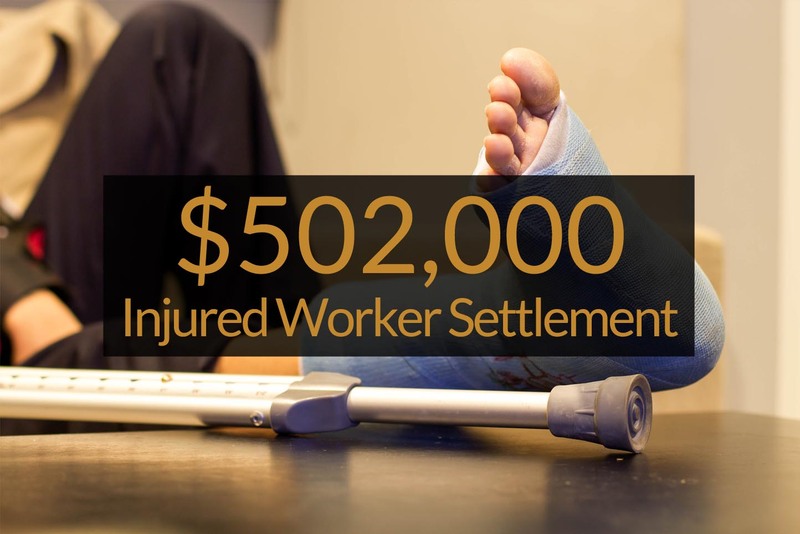 The injured worker was able to comfortably retire with the proceeds from the workers’ compensation settlement and his Social Security disability payments. Have a question about Worker's Compensation?